Voters in 10 areas of England will have to bring identity documents with them to the polling station in next month's council elections. The pilot for the vote on 2 May follows a trial in five areas in 2018, which saw hundreds of people refused a ballot paper. The government is testing the scheme to combat potential voter fraud. Critics said the scheme would deny people their democratic right and was unnecessary because fraud is low. What is the voter ID trial? The government said it was part of an ongoing process to reduce the risk of voter fraud and ensure vote security. Some councils will ask for photo ID, such as a driving licence. Some will ask for a mix of photo and non-photo ID, while some will accept polling cards. In March, the High Court ruled the scheme was lawful following a legal challenge by campaigner Neil Coughlan from Essex, who argued it would prevent people voting. In Broxtowe, Craven, Derby, North Kesteven and Braintree, voters will have to show either one piece of photo ID or two forms of non-photo ID. 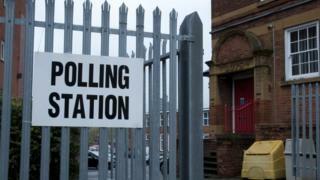 In Mid Sussex, Watford and North West Leicestershire, people will have to bring their polling cards or photo ID. Voters in Pendle and Woking will only be able to show photo ID at the polling station to be given a ballot paper. If they do not have any ID, voters will have to apply for a postal vote or a local elector card for free from the council. Two other councils, East Staffordshire and Ribble Valley, pulled out of the trial. East Staffordshire was concerned it would not have enough time to tell the electorate about the forms of ID needed, while Ribble Valley believed it was too much work on top of a boundary review. Postal voters will not need photo ID but in Pendle there will be random checks to make sure postal voters applied and voted themselves and that there was no undue pressure put on them. Will this stop people voting? The scheme has been criticised for denying people their vote. Willie Sullivan, from the Electoral Reform Society campaign group, said: "Forcing all voters to show their papers at the polling station is a sledgehammer to crack a nut. This is a solution looking for a problem, and the government knows it." He said "innocent voters" would lose out when the government "locks ordinary people out of democracy". In 2018 about 350 people in five areas of England were turned away from polling stations for not having the correct ID and did not return. A further 686 were initially stopped but later returned with the right documents. However, the Electoral Commission said in three areas turnout was no more than one percentage point lower than recent comparable elections and in the other two it was higher. The commission also said there was "no evidence of large-scale electoral fraud" in 2018. Out of 266 allegations of electoral fraud, eight involved claims people were either trying to vote in someone else's name at a polling station, voting when they were not legally allowed to or trying to vote more than once. In seven of these cases no further action was taken and the other, in Lambeth, was resolved without criminal proceedings. More than half of cases, 140, involved alleged campaigning offences. Chloe Smith MP, Cabinet Office Parliamentary Secretary, told the House of Commons: "Showing ID is something that people of all backgrounds already do every day, when we take out a library book, claim benefits or pick up a parcel from the post office." She said the 2018 trial showed "voter ID does not have an adverse effect on voter turnout or participation".